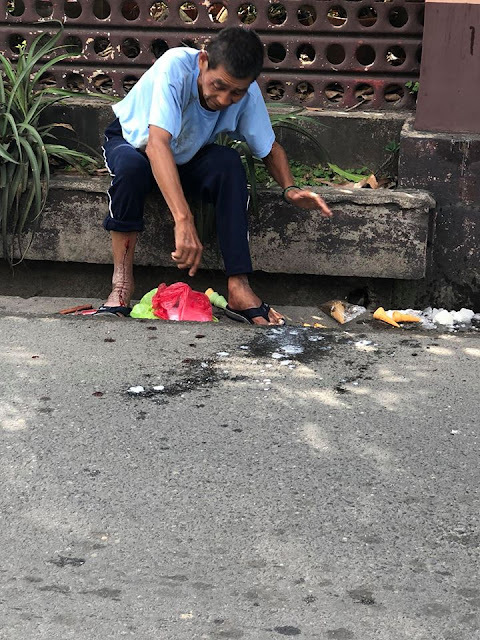 Home / News / Trending / Netizen blasts suspect of hit and run of aged ice cream vendor "please have the decency to take responsibility"
Netizen blasts suspect of hit and run of aged ice cream vendor "please have the decency to take responsibility"
A citizen of Santa Maria, Bulacan's post looking for the perpetrator of a hit and run of an aged and humble ice cream vendor has gone viral. The post by Efryl Geronimo has as of writing, garnered 6,00o reactions, and 5,000 shares looking for the suspect who is at large. She only managed to name the vehicle as "PUJ CVE #...."
"Please give the decency to take responsibility of what you did to Lolo (a mere ice cream vendor which he does for a living maybe for his family)." Geronimo said that the driver did not even look back after he hit the old man whose ice cream cart fell into a canal and was damaged. 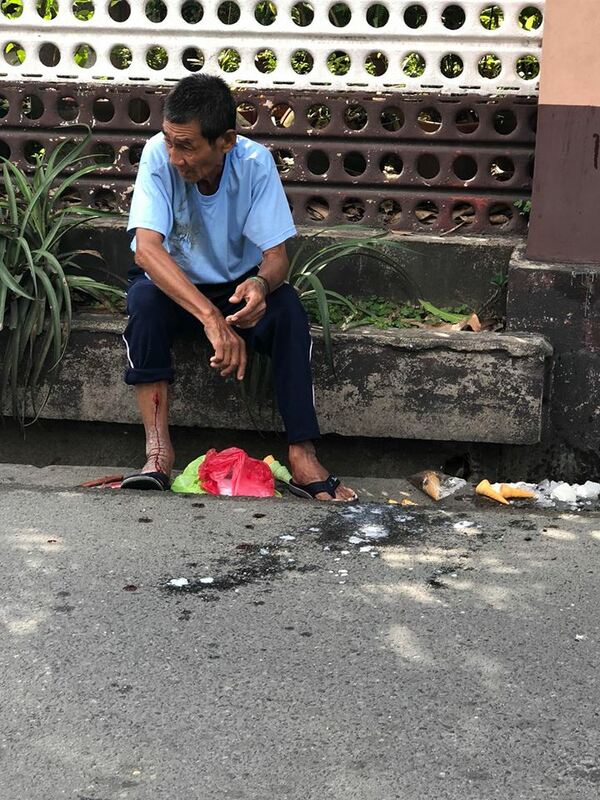 "You didn’t even look once behind you or even bother if you just hit something pagkatapos nyong i-cut at takbuhan si lolo, mahulog sa kanal pababa ng MGH sa Sta. Maria. 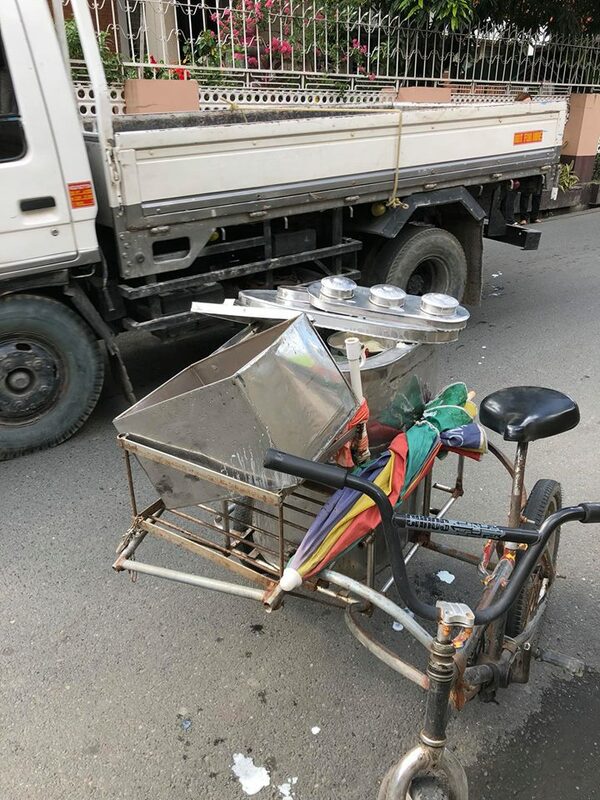 Take note sinira nyo rin yung cart nya. 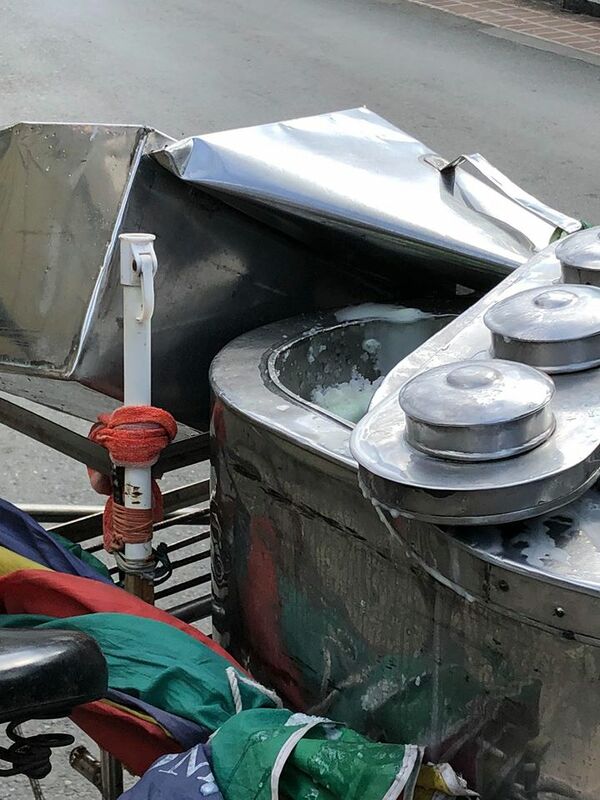 Marami po kaming motorists/guards/bystanders atound the area na nakakita at hinabol kayo pero ang bilis talaga ng jeep nyo," she said. "Based from them, the Jeep’s plate number is CVE #.... -maybe route of Sampol or Norzagaray. Sir, the ice cream cart was big enough to be seen in you side mirror or rear view and you just ran off away. We just reported the accident to the traffic unit to report & alert it also to others," she added. The incident took place at around 8:30 in the morning and the victim was brought to the attention of medical experts in MGH who treated his wounds. "Whoever you are, this world believes in Karma. It is not too late to show compassion and be responsible for your actions," she said. 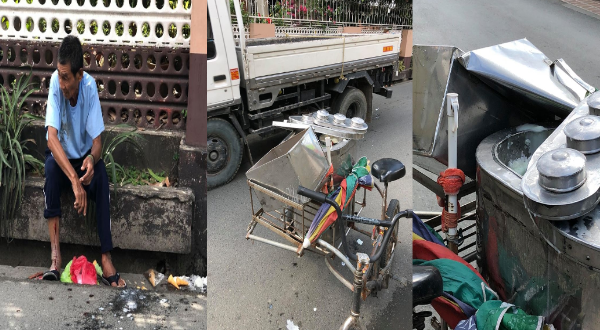 The post included photos of the aged vendor, who has wounds on his feet, and his damaged cart. "To whoever is the Driver or operator of the PUJ CVE #...., please give the decency to take responsibility of what you did to Lolo (a mere ice cream vendor which he does for a living maybe for his family). You didn’t even look once behind you or even bother if you just hit something pagkatapos nyong i-cut at takbuhan si lolo, mahulog sa kanal pababa ng MGH sa Sta. Maria. Take note sinira nyo rin yung cart nya. Marami po kaming motorists/guards/bystanders atound the area na nakakita at hinabol kayo pero ang bilis talaga ng jeep nyo. Based from them, the Jeep’s plate number is CVE #.... -maybe route of Sampol or Norzagaray. Sir, the ice cream cart was big enough to be seen in you side mirror or rear view and you just ran off away. We just reported the accident to the traffic unit to report & alert it also to others. This just happened around 8:30am. Lolo was taken to MGH to be taken care for the wounds he got. Whoever you are, this world believes in Karma. It is not too late to show compassion and be responsible for your actions. (Erratum: I will update this if the plate number from the footage will be decode. Sorry for the wrong number everything happened so fast)"